Whomp whomp. There're no Accordian Smurves for sale. 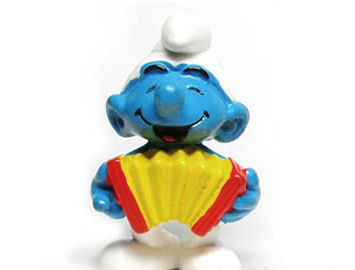 Accordion that Smurf holds a red accordian with a yellow bellow.